How are you fantasy football owners feeling after Week 10? Better get ready because THE FANTASY FOOTBALL PLAYOFFS ARE COMING. We saw a ton of action Week 10 and saw some productive fantasy outings from last week’s article that included Marcus Mariota, Duke Johnson Jr, Mike Davis, Marquez Valdes-Scantling, Tyrell Williams, John Ross, and Vance McDonald. Stay ahead of your bye weeks. In Week 11, Buffalo, Cleveland, Miami, New England, New York Jets, San Francisco are on bye weeks. The Bye-Pocalypse is over. The last bye weeks come in Week 12 with Kansas City and the Los Angeles Rams. Trade for players that already had their bye weeks. Be aggressive as we approach the fantasy football deadline. Spend that FAAB! 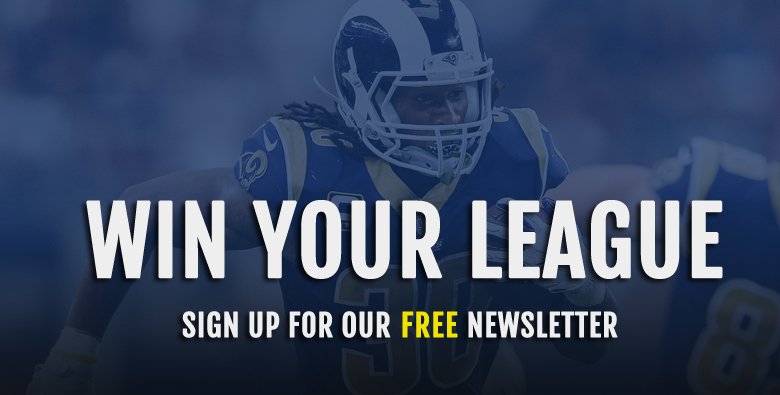 If you are vibing for a playoff spot, spend up to make sure you can secure a spot in the fantasy playoffs! 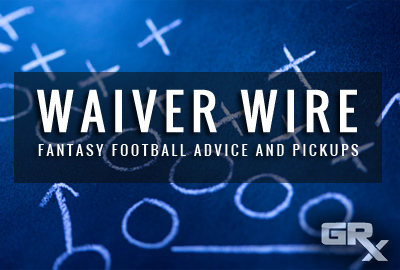 Without further ado, here are your waiver wire targets for Week 11! Is Dak…dare I say back? After a rough start to the season, he has strung together four solid fantasy performances (31,22,17,23) good for just over 23 fantasy points per game. Prescott compiled the fourth-most fantasy points total at the QB position over his last four games played. 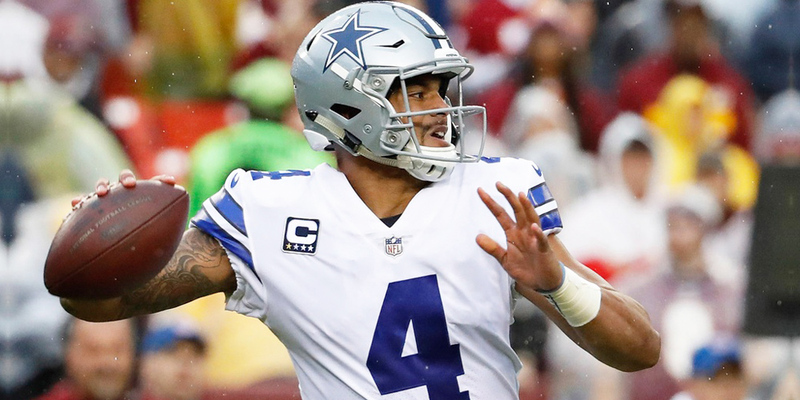 The matchup in Week 11 entrenches the Dallas quarterback against a Falcons defense that has allowed the fourth-most fantasy points to the QB position in 2018. Atlanta at home allows the most passing yards per game (355.6), the most passing first downs per game (19.4), and the most passing touchdowns per game (2.8). The Falcons struggle to bring pressure, indicated by the fact that they were the only team to face the Browns and not get one sack on Baker Mayfield. Prescott like most QBs is much more efficient when he is not under pressure. During his four-game hot streak, Prescott has a 75% completion percentage with five touchdowns and no picks when he has been kept clean. He was featured on last weeks waiver wire piece and he is back on it once again. Mariota since returning from the bye week has scored 24 plus fantasy points in back to back weeks. The Tennesse offense line has been taking care of protecting Mariota. He has only been pressured on 68.3% of his dropbacks over the past two weeks and has thrown all four of his touchdowns from a clean pocket. His matchup against the Colts should provide similar results. The Colts in Week 10 only pressured Blake Bortles on 25% of his dropbacks and had zero sacks. The Colts have also allowed at least 244 passing yards and double-digit touchdowns to five straight quarterbacks not named Derek Anderson over the past six weeks. The Oakland Raiders are not only a mess, but they allow the 8th most fantasy points to the QB position. Josh Rosen struggled in Week 10 because the Chiefs were all over him. That will not be the case when the Raiders come to Arizona. Over the past two weeks, the Raiders have only brought pressure on just over 27% of the dropbacks. This season as a whole, the Raiders have only gotten pressure on just 9.6% of the snaps third worst in the NFL. With the new offense clicking more than earlier in the year, I like Rosen’s chances to get the ball out to his playmakers in Week 11. Especially if they keep Rosen clean. All six of Rosen’s touchdowns have come from clean pockets this season. The Raiders allow the fourth most passing touchdowns in road games (2.4) per game and only one quarterback they have faced all year as thrown for less than two touchdowns. There’s also a high probability that the Raiders quit in this game, so that makes Arizona players very enticing across all formats. The Athletic’s Jeff Zrebiec suggests Lamar Jackson isn’t a lock to start if Joe Flacco (hip) misses time. But if he does, this could be absolutely huge for the remaining schedule of the season. The Ravens for the rest of the year play the Bengals, Raiders, Falcons, Chiefs, Buccaneers, Chargers, and Browns. If Flacco misses Week 11, Lamar Jackson becomes an immediate streaming option at the quarterback position. Cincinnati gives up the 4th most fantasy points to the QB position. The Bengals also allow the seventh most rushing yards to the QB position in 2018 along with the sixth most rushing attempts and three rushing touchdowns. The Bengals on the road rank dead last against in rushing yards allowed (148.8). The Bengals have also allowed the second most passing touchdowns on the road (2.8) per game this season. Penny finally had his best game of the season rushing 12 times for 108 yards and a touchdown. 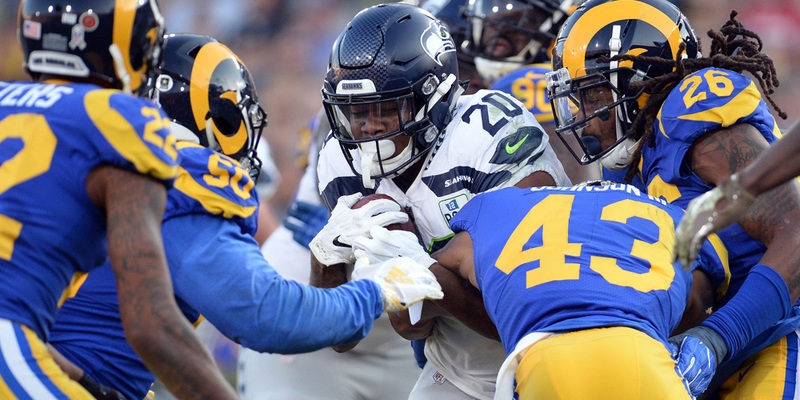 Chris Carson did not play in this game, and Penny saw his second-highest snap output of the season playing on 39.71%. It’s hopeful that Penny also saw two opportunities in the red zone in Week 10. Now Pete Carroll has come out in said that Carson will be ready for Thursday night football. Now, I am a full believer in believing that Peter Carroll just lies about everything. It would not surprise me at all to see Carson miss so that he can be fully healthy on the mini-bye week post their Thursday night contest. Penny led the Seahawks in carries in Week 10 and the Seahawks are the heaviest run team in the NFL. The matchup against the Packers is very good with their defense allowing fifth-most fantasy points to the running back over the past four weeks. Mike Davis is still an interesting play as well as he has been the most involved running back in the passing game with 14 targets over the past two weeks. The Packers have allowed the second most receiving yards to the RB position over the past two weeks. Davis ran 23 routes in Week 10. Martin rushed 15 times for 61 yards and caught all three of his targets for 31 more yards in Week 10. Martin is the in-between the tackles runner that should be owned in all fantasy leagues. Despite everything that is going on in Oakland, Martin has quietly rushed for 182 rushing yards, averaging over 4.6 yards per carry over that timespan. Martin led the Raiders in snap percentage at the running back position and has over 40% of the market share of red zone opportunities over the last three weeks. The matchup is also great for Martin this week against the Arizona defense that has allowed the third most fantasy points to the running back position this season. No team allows more rushing attempts than the Cardinals. Coach Doug Pederson said Adams will get more carries going forward, Zach Berman of The Philadelphia Inquirer reports. Do not take this out of proportion because more does not necessarily mean 15-20 carries as we all would hope. Adams had seven carries which led the Eagles in Week 10 and has led the Eagles in market share of red zone opportunities over the last three weeks. I do expect Adams to receive more carries, but it could be more like ten, so temper your expectations. Adams still has the highest touchdown upside of all the backs on the Eagles, but the matchup is difficult this week. The Saints have allowed the fewest rushing yards to the RB position in 2018. Adams is an add and stash to most likely be a play in Week 12 against the Giants. The Giants have allowed an RB to go over 100 yards in back to back games the past two weeks. The Steelers are optimistic that Conner will clear the NFL’s concussion protocol and suit up in the team’s next game Nov. 18 against the Jaguars, Ian Rapoport of NFL Network reports. 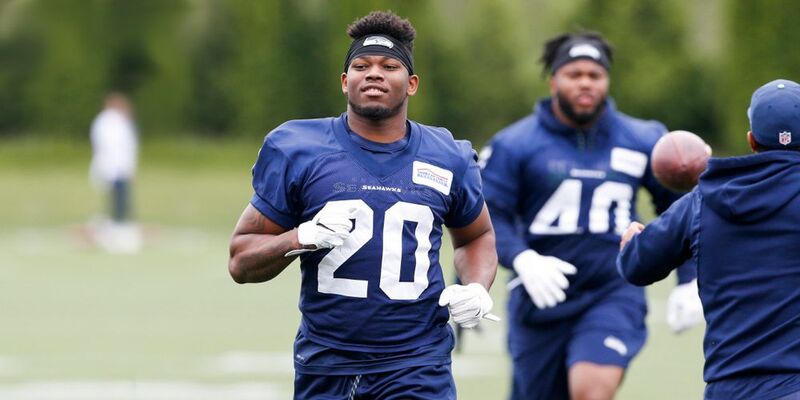 However, in the rare chance that Conner misses Samuels becomes an immediate add. It looks like there will be no Le’Veon Bell this season, so Samuels seems most likely to benefit the most from an uptick in playing time in the Pittsburgh offense. He also has tight end eligibility which could be a total fantasy football hack for your league. With the Lions doing the best they can to replace Golden Tate, they are trying to get their running backs more involved in the passing game. Over the past two weeks, Theo Riddick has run the second most routes at the running back position (62) just four behind Todd Gurley. Kerryon Johnson during that timespan has 46 routes run for eighth most in the NFL over that time span. With Marvin Jones Jr. now dealing with a knee injury I expect the Lions’ to lean even more on Riddick in the passing game along with Johnson. 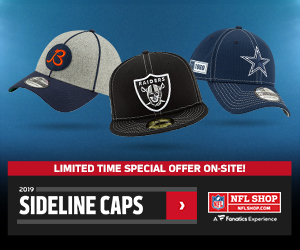 However, this add seems better for when the Lions take on the Bears in Week 12 because the matchup this week is stifling. The Panthers have allowed the 6th fewest fantasy points to the RB position. Specifically, to pass-catching backs, the Panthers have only allowed more than 4 receptions to an RB once this season. They also have not allowed more than one running back to achieve more than 25 yards receiving this season. Godwin caught all seven of his targets for 103 yards during Sunday’s 16-3 loss to Washington. Godwin is an extremely talented player, but he just falls victim to not seeing enough volume in the Tampa Bay offense. Over the past two weeks, Godwin has only run 47 routes. This is less than Adam Humphries, (87), Mike Evans (86) and DeSean Jackson (58). In Week 1o, he also played in less than 50% of the snaps. 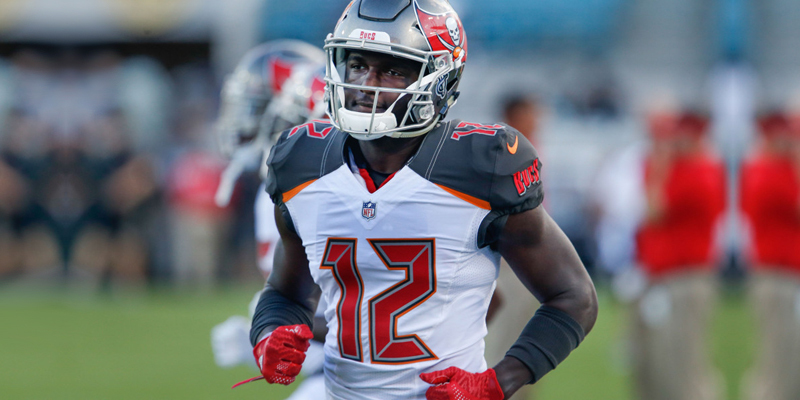 I think that Godwin is still worth an add in the high powered Tampa Bay offense because he is a talented player worth buying into. He’s scored double-digit fantasy points in six of his nine games this season. It is worth noting that two of Godwin’s worst games came with Jameis Winston under center. So with Ryan Fitzpatrick, Godwin is a solid receiver moving forward. 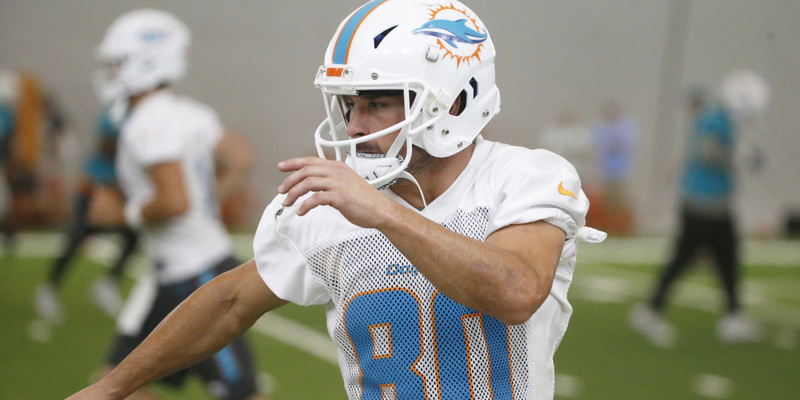 Since Brockoctober has hit Miami Beach, Danny Amendola has been on a tear in PPR formats. At least nine fantasy points in five straight games with 14 or more fantasy points in three of those games. He is on a bye week this week, but he is definitely worth keeping an eye on going into the playoff stretch. Moncrief seems to be making a name for himself in Jacksonville. Over the last five games, he has had 38 targets in his last five games and has 20 receptions. Moncrief is the number 13 wide receiver in targeted air yards via Mike Tags of FantasyPros. That is ahead of guys like Davante Adams, Mike Evans, Robert Woods, Michael Thomas, and Jarvis Landry in terms of team target share. Moncrief is seeing 33% of those air yards in the Jaguars passing attack. He leads the team in overall targets and offensive snaps. He showed us in Week 10 that he has the big-play ability with his 80-yard touchdown reception, so Moncrief is a player you can have confidence starting against the Pittsburgh Steelers in Week 11. He’s scored double-digit fantasy points in five of his last six games. The Bears traded up for this guy and he balled out in Week 10. Miller ran more routes than any other Bears’ receiver in Week 1o and has seen at least six targets in four straight games and seen 25% of the Chicago offensive air yards. Now the reason to get even more excited about Miller after his five of six targets for 122 yards and a touchdown game is his usage in the slot. Being a slot receiver for fantasy football purposes creates so many mismatches and opportunities for players to reach high levels of production. This season Miller has played on a team-high 71.2% of snaps in the slot. He also has the most catches (20), most yards (294), and most touchdowns (3) from the slot. In Week 11, the Bears will be playing the Vikings. The Vikings’ main slot cornerback Mackensie Alexander has allowed 267 yards receiving and 25 receptions on 32 targets from the slot this season. Copper Kupp has been placed on the injured reserve with a torn ACL making Reynolds once again an immediate add across all fantasy formats. The Rams run three-receiver sets on over 95% of their snaps and Reynolds will fill the role as an outside receiver on the Rams offense. In the absence of Kupp earlier in the year, Reynolds had four receptions for 61 yards and two touchdowns. With an upcoming shootout against the Chiefs with an under/over of 62.5 coming up, Reynolds is a solid plugin play receiver for Week 11. The bonified number one receiver on the Bengals, Ross led the Bengals in targets and caught a touchdown from Andy Dalton early in the first quarter. Outside of the touchdown, Ross did not do much, but he will continue to see an uptick in volume with no A.J. Green out with his injury. The matchup in Week 11 sees the Ravens going up against Baltimore making Ross a better add for down the road and not for Week 11. Baltimore gives up the 5th fewest fantasy points to the WR position. Get Fantasy Football Championship Gear Today! There are a few reasons why Michael Roberts makes sense as a tight end add this week. The Lions are lacking pass-catching options. Golden Tate is gone, and Marvin Jones is banged up. Jones is the primary red-zone receiver on this offense so if he is forced to miss or be limited in any capacity Robert could easily benefit from that work. Additionally, the matchup is excellent for Detriot tight ends this week as they face the Carolina Panthers. The Panthers rank dead last in terms of fantasy points allowed to the position. The only problem with Roberts is he is also dealing with an injury. If he can’t go you better grab your darts and fire up Levine Toilolo. Don’t ya just love the tight end? So it looks like that Demaryius Thomas trade really helped out this guy. Heuerman back in Week 9, had 10 receptions on 11 targets for 83 yards and a touchdown against the Houston Texans. He’s is coming off a bye week so he is readily available in almost all fantasy leagues. He’s now caught touchdowns in back to back weeks and will square off against the Los Angeles Chargers in Week 11. The Chargers’ defense is relatively middle of the pack against the tight end. However, they have allowed a tight end to at least eight targets in four of their last six games. Since Week 8 of the NFL seas0n when the offensive coordinator change happened Seals-Jones has run 35.5 routes per game, the second most for any tight end over that time span. He is getting more integrated into an offense that is improving so that bodes very well for his fantasy projection. And against Oakland that gives up the 5th most fantasy points to the TE position, you could do much worse than RSJ in Week 11. The Raiders have allowed 11.9 yards per target this season, over 80% completion and a touchdown every 7.8 targets to the tight end position. Targets plus the Raiders make a happy RSJ. I talked about this guy all week and he delivered. Smith has now caught touchdowns in back to back weeks and has been surging like the rest of the improved Titans’ offense. Mariota is playing well and with most of his other receivers hurt, I like Smith as an add this week. I think you can start him as well against the Colts. Indianapolis gives up the 8th most fantasy points to the TE position. Honorable Mentions: Nick Vannett SEA, Gerald Everett LAR, Ben Watson NO, James O’Shaughnessy JAC, Mark Andrew BAL, Hunter Henry LAC. The Lions have allowed 16 sacks over the past two weeks. Not a great matchup this week, but if you are playoff bound adding the Broncos is a wise move. Weeks 13-16 they face Cincinnati, San Francisco, Cleveland, and the Raiders respectively. The Raiders have given up the 6h most fantasy points to Team Defenses over the past four weeks.